The Jardín Etnobotánico focuses not only on the plants themselves, but on their relationship with the people of Oaxaca and their integral role in local cuisine, art and culture. It’s hard to imagine now, but the garden almost didn’t happen. The space was originally part of a monastery and was then utilized by the army for more than a century. In 1994 the army relocated their barracks and there were proposals to construct a hotel and parking lot in their place. (Cue Joni Mitchell!) An advocacy group lobbied for the protection of the land, aiming to create a space celebrating local culture and nature – and they won. Phew! Learn more about the garden’s history here. *So* much better than a parking lot! Unlike many botanical gardens, this one is only accessible via guided tour, which has pros and cons. Given its size and mission, it’s definitely helpful having an expert show you around the space. There is no signage, so the guide’s explanations and stories provide a more comprehensive experience than you would have on your own. Access by tour only also ensures the garden’s safety. Tours became a requirement after issues with vandalism and plant theft. On the other hand, fitting a tour into your schedule may be tricky. English tours are only available at 11 am on Tuesdays, Thursdays and Saturdays ($100 MXN). French tours are given on Tuesdays at 5 pm ($100 MXN). Tours in German are given on Wednesdays at 5 pm ($100 MXN). Spanish tours are available Monday through Saturday at 10 am, noon and 5 pm ($50 MXN). The guided tour in English lasts two hours. The 11 am start time means spending one of the hottest parts of the day in an open space with little to no shade. I was completely exhausted by the end of it due to the heat, which I quickly learned is no joke in Oaxaca! While exploring at your leisure without a tour might be preferable, I wouldn’t let the guided visit deter you from seeing this incredible space. It’s truly beautiful and the tour is a great opportunity to learn about how the region’s communities have interacted with plant life for countless generations, using it for medicine, fabric dye, food and drink, and more. Just make sure you bring a sun hat and plenty of water. I definitely didn’t have enough with me! The office also has umbrellas you can carry with you for even more shade. Not only are the gardens themselves stunning, but they’re also in a super convenient location. You’ll find them in the heart of the city center, right next door to the Museo de las Culturas de Oaxaca – a former monastery that now houses the city’s impressive cultural center – and the popular, gold leaf-laden Templo de Santo Domingo de Guzmán. The adjacent plaza is a popular meeting point along the Andador de Macedonia Alcalá, the major pedestrian street in the city. Unsurprisingly, the area is buzzing throughout the day and night with activity from street food vendors, souvenir stands, bars and restaurants, so this is a great part of Oaxaca to spend time in. If you’re unsure of committing to a tour but are still interested in seeing the space, you’re not out of luck. The Museo de las Culturas de Oaxaca (mentioned above) offers picture-perfect views over the garden from its exhibit halls. Another option: if you speak any Spanish at all, or if your priority is more to see the plants than to hear about them, consider taking the Spanish tour. It’s cheaper and will be easier to fit into your plans. Plus, it only lasts one hour instead of two, so the heat won’t be as challenging. One last tip: refuel post-tour at Oaxaca En Una Taza, a great coffee and chocolate shop just outside the entrance of the garden. Do you like visiting botanical gardens on your travels or are they not really your thing? 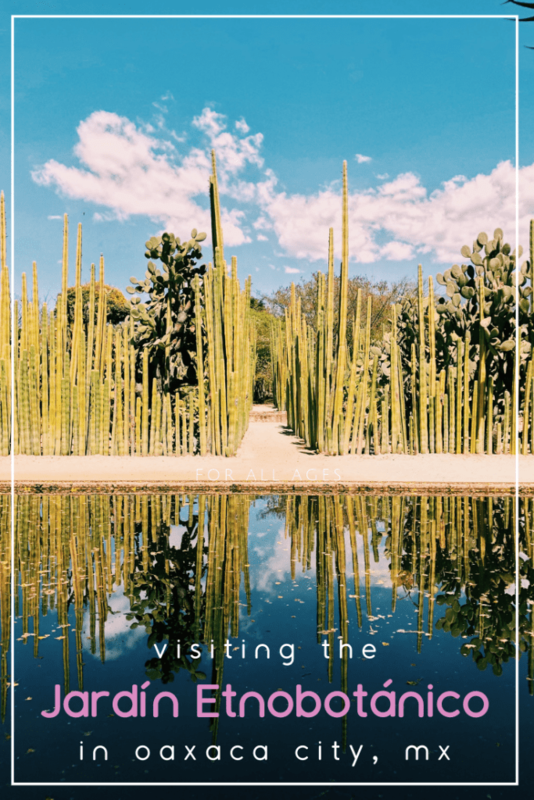 Have you ever visited the one in Oaxaca? Let me know all your thoughts below! I loved that introductory photo of the organ pipe cacti. Also loved the photos of the buildings. I almost could hear the bells being rung by a raggamuffin little Mexican boy as several men ride into town on horseback. 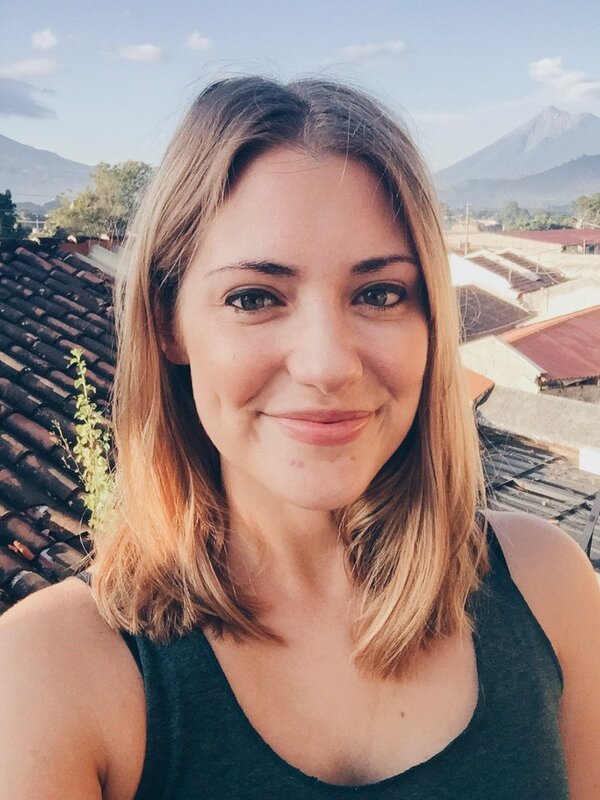 Congratulations on visiting 30 countries before turning 30. Well done.